Segway clone - with low cost parts including arduino environment. 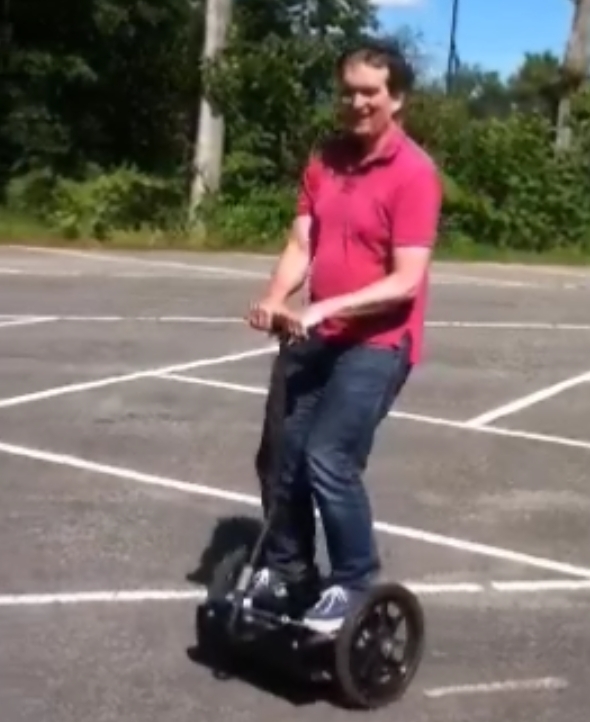 Making a segway clone has long been an ambition. It looks so nice when you see the segway driving around and so i thought about making a clone. 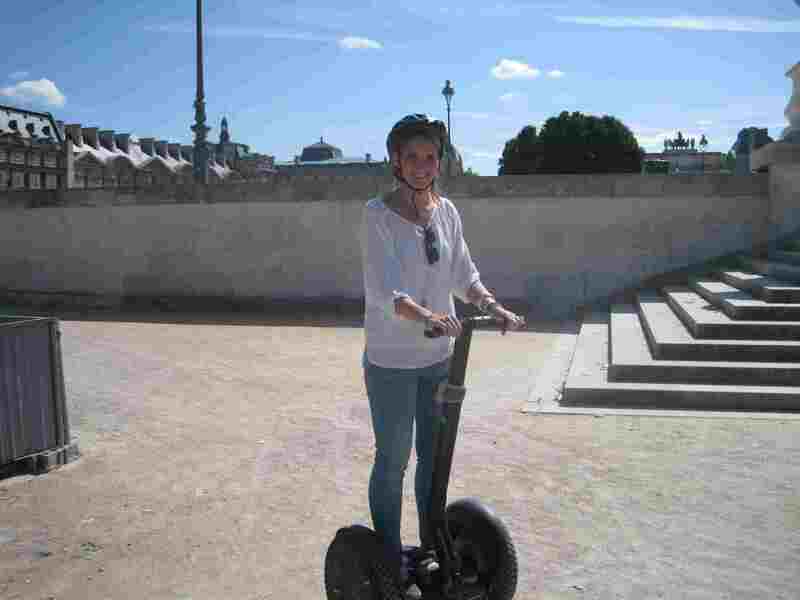 This is not so easy because you need to use a gyroscope and an accelerometer to tell the segway clone to stay upright. You do this by detecting the angle the segway clone is tilting and then taking action with the two DC motors that drive the segway clone. These are 500W beasts which demand also a special circuit to drive them. I have used only standard components and tried to copy as much as possible from already developed segway clones. You will discover this by reading the different sections. The article is too big to all fit onto one page so i have divided it as follows. Main article including the PCB modifications. Here you van see the logic i have used for determining the different components. Price was one main consideration, but also the functionality should not suffer. So i have basically made the design based on the cheapest version i could find (The Zzaag) and adapted it to include all the features found in the more expensive ones. Everything to do with the speed sensor. One of the nice features is to be able to measure the speed of each individual wheel. You need this when driving across an uneven surface or small stones on the road. Small mods to include a LED display and charging socket Of course visualizing the battery level and a heartbeat to see if the micro is still alive. This is done using a simple LED display. Easy charging possibilities are a reality by bringing to the outside a connector for the charging station. All about the accelerometer and gyros that can be used. I have tried many different versions including the wii motion plus. I also tried the ITG3200 and BMA180 about which you can read elsewhere on the site. Software and links. Of course you need a good software to control the segway clone. Full source code is included here. Here is a short video of my finished model in action.